Today, chip maker Qualcomm has officially announced a new processor for the mobile market, in the form of Qualcomm Snapdragon 805, which has been designed to provide users with the highest-quality mobile video experience. The new CPU, the successor of Qualcomm’s Snapdragon 800 chip, will also offer support for Ultra HD (4K) resolutions, and should offer great imaging and graphics experiences as well. The new chipset arrives with the new Adreno 420 GPU inside and is capable of delivering up to 40 percent more graphics power when compared to its predecessor. Furthermore, the new CPU is the first in the world to come with system-level Ultra HD support, 4K video capture, and playback capabilities. Additionally, it sports enhanced dual camera Image Signal Processors (ISPs), thus being capable of increased performance capabilities and better multitasking. The Krait 450 quad-core CPU can deliver core speeds of up for 2.5GHz, while also packing support for superior memory bandwidth (up to 25.6 GB/second) for advanced multimedia and web browsing performance. “The mobile industry's first end-to-end Ultra HD solution with on-device display concurrent with output to HDTV; features Qualcomm Technologies' new Adreno 420 GPU, which introduces support for hardware tessellation and geometry shaders,” the chip maker said. The new processor will also offer advanced 4K rendering, while enabling more realistic scenes and objects, as well as visually stunning user interface experiences at lower power. The processor will also enable users to stream more video content at higher quality, while using less power. According to Qualcomm, the CPU comes with support for Hollywood Quality Video (HQV) for video post processing, hardware 4K HEVC (H.265) decode for mobile. 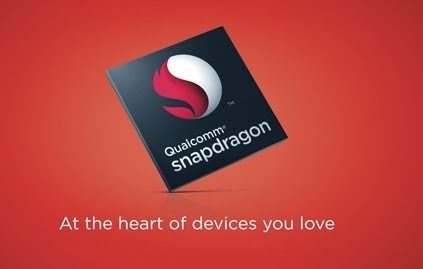 “Using a smartphone or tablet powered by Snapdragon 805 processor is like having an UltraHD home theater in your pocket, with 4K video, imaging and graphics, all built for mobile,” said Murthy Renduchintala, executive vice president, Qualcomm Technologies, Inc., and co-president, QCT. “We're delivering the mobile industry's first truly end-to-end Ultra HD solution, and coupled with our industry leading Gobi LTE modems and RF transceivers, streaming and watching content at 4K resolution will finally be possible.” The new Snapdragon 805 mobile processor is already sampling and is expected to be included in commercially available devices in the first half of the next year.